We're now halfway through December which means that Christmas party season is in full swing! Whether you're getting glammed up for your office Christmas knees-up, or if you've got a big New Years Eve event on the cards, often it's the getting ready which is the most fun part of the night! This year I've gone all out with my primping and preening (because WHY NOT?!) so prepare yourself for a mammoth post where I share all of my festive favourites! There's something for everyone, from a perfect recipe for silky smooth legs to luxurious skincare to keep you glowin' even if the snow's a-fallin'. Are you ready? Let's get started! If you decide that hair removal is the way you want to go this festive season (yes ladies, it's a CHOICE and not a requirement), shaving can turn into the most frustrating tasks associated with a night out. Anyone else always leave a few patches of hair on their legs, no matter how methodical they are with a razor?! I sure do. But what if you could be promised a fast and smooth experience every time, with amazing results? Enter Friction Free Shaving. Their gorgeously designed metal razor allows you to get your pins party ready in a flash, leaving you feeling oh-so sleek, even if all you do afterwards is jump under some fresh bedsheets! 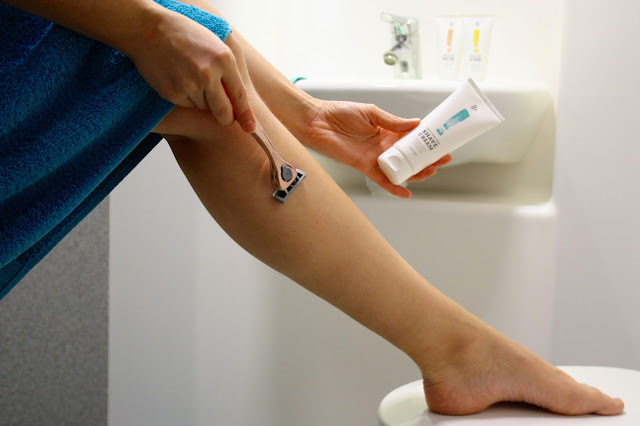 FFS make the shaving process so simple - they even deliver your razors directly to your door for just £5 per month! 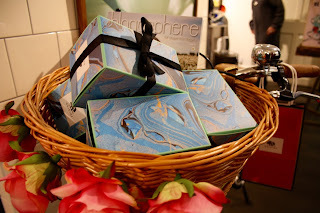 I was invited along to the first ever Friction Free Shaving event at The Alchemist in Birmingham, hosted by my wonderful friend Debra-Bow and the lovely Amber and Melissa from the FFS Team, where an intimate group of bloggers had an unforgettable cocktail making masterclass! I am now a Mojito pro, everyone! At the event, I was lucky enough to be given a FFS Gift Box (currently reduced to £25!) to try out. 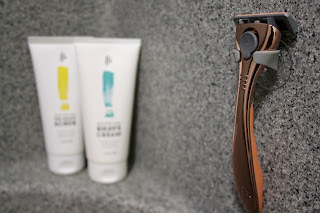 The Gift Box includes a razor, shave cream, pre-shave scrub, post-shave balm, four razor refils, a hook to secure your razor in the shower, and blade cover, so you get plenty of bang for your buck. Thank you so much to my fabulous friend Hayley for the photos of me at the FFS Event! The rose-gold razor is weighty, indicating its high quality, without being cumbersome. It was so much easier to clean during use than my standard disposable razors, a big selling point for me! The razor's six diamond-coated blades glide smoothly across the skin, especially when accompanied by the FFS Shave Cream. The Shave Cream is an award-winning mix of manuka honey, shea butter, and coconut oil and it smells DIVINE. It doesn't foam up like your typical man's shaving gel, but a little goes a long way and your legs are left feeling super moisturised. The post-shave balm receives a similarly positive review. It smelled amazing I didn't experience any nasty dry patches on my legs after using it - hooray! The only product that I wasn't totally sold on was the pre-shave scrub. 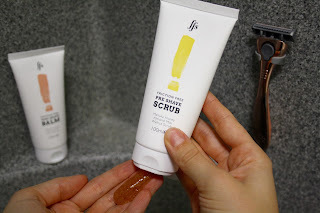 It was the least fragranced of the lot and I didn't really feel like it *did* anything - unlike other exfoliating products I've tried, it wasn't the most invigorating. However, as all of the FFS products are completely cruelty free, they're an animal friendly purchase and I wouldn't hesitate to recommend them, especially the razor! 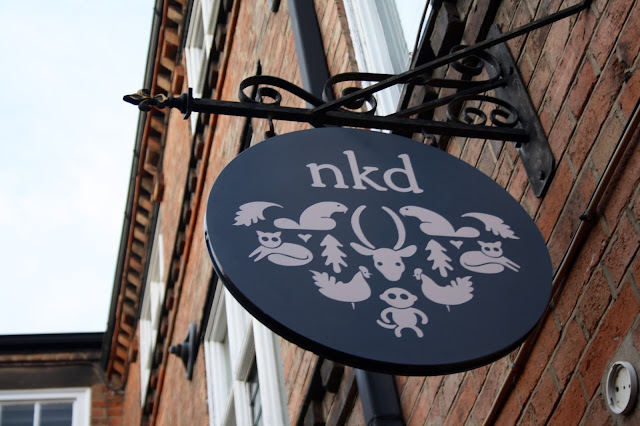 As you may remember from my October roundup post, a little while ago I attended the launch event for Leicester's newest (and best) beauty salon: nkd waxing. Earlier this week I was invited back to try out one of their special packages named The Big One! This consisted of LVL lashes, HD brows, and a Hollywood wax. Since the launch event, I've been back to nkd a couple of times as a paying customer for their intimate waxing treatments because they're the best I've ever had! nkd is a flagship brand for Perron Rigot hot waxes, which are a whole lot more gentle than your standard strip wax. nkd's hot waxes shrink wrap around the hair and do not pull on the skin, making the experience way less painful! Protective layers of Jasmine oil are also regularly applied to the skin during treatment, creating a conditioning barrier between skin and wax. I will definitely keep going back to nkd for these waxes as they've never let me down! Now on to a treatment which I'd never experienced before - the LVL lash lift! The whole process took about an hour and ten minutes and I think you'll agree from the photos below that the difference really is noticable! 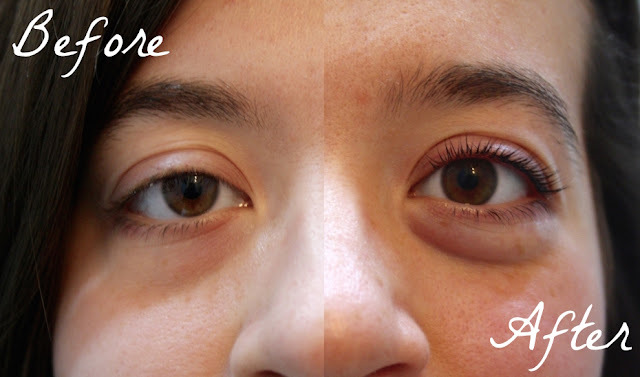 The LVL lash procedure uses only your own natural lashes, although they give an amazing "falsie" effect. The lashes are tinted and permed, giving the appearance of wearing a volumising mascara. 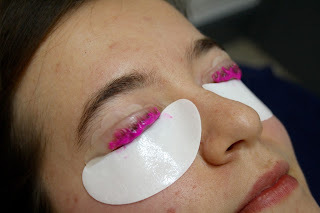 The process of having the lashes permed and tinted obviously requires up-close-and-personal work on your eyes, maneuvering the lashes into the right position and applying the various tints and perming products. It can be a little disconcerting because you can't see a lot of what is going on, but Charlotte who carried out my treatment was very kind and professional, explaining each step as she went along. 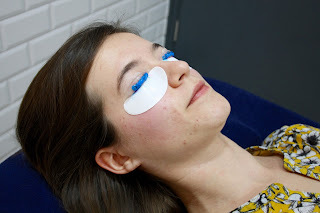 My favourite part of the process was definitely the lovely head massage that I received as my lashes were being tinted! After the lash lift, I was also given the option of having semi-permanent mascara added. I went for the recommended blue-black option as this supposedly makes your lashes stand out more, and it certainly does! The semi-permanent mascara lasts around 3 weeks, while the LVL lash lift lasts between 4-8 weeks, certainly enough to last you through the whole party season. Finally, the lovely Yass treated me to my very first set of HD brows! The process involved tinting, waxing, threading, and plucking to acheive a perfectly defined shape. The tint picked up all of the light blonde hairs in my brows which aren't usually visible, creating a thicker look. Waxing provided a nice angle, followed by trimming and threading to tidy up and pluck out any strays. 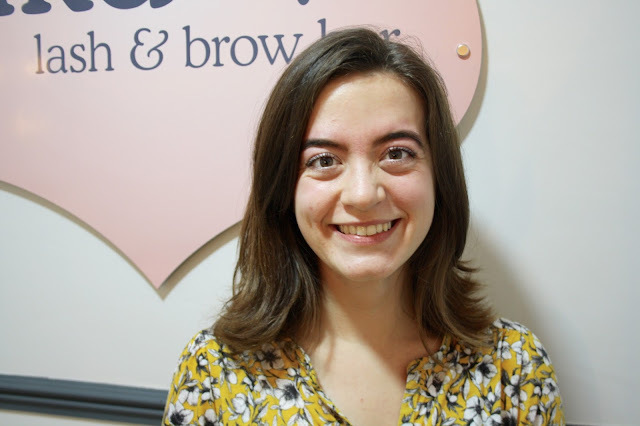 What I particularly liked about this treatment was that Yass was able to entirely personalise it to take account of my preferecnes - I like to keep a natural shape for my brows and Yass was able to do just that. In this photo, they're a little too dark for my liking as they had been filled in with makeup as well as tinted, but I do not fill them in at home and I think they look better this way! Nevertheless, I was really impressed with all of the treatments I recieved at nkd! In the cold winter months, it's even more important than usual not to neglect your skincare routine, especially if you want to look your best at a New Year's Eve bash. With this in mind, I was lucky enough to be on the guest list for the sensational Sally Morgan Moore's Glow Gala event with Origins in Cambridge, which was a lovely opportunity for me to (finally!) meet the woman herself, as well as providing a real treat for my skin! 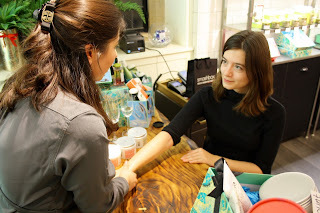 I was given an indulgent hand and arm massage with the delectable Grapefruit Body Soufflé which smelled incredible and left my hands feeling moisturised without that horrible tacky feeling that you get with some hand creams! This was followed by a heavenly facial using the Drink Up Mask, which was so luxurious and utterly relaxing. Sally did a fantastic job with organising her first ever event, and she even had special guests from Smashbox and Blogosphere Magazine in attendance as well, which made for such an exciting evening! 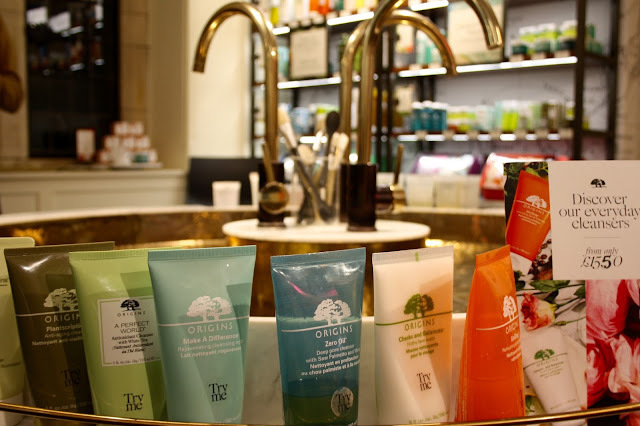 There are Origins products aplenty on my Christmas list now! 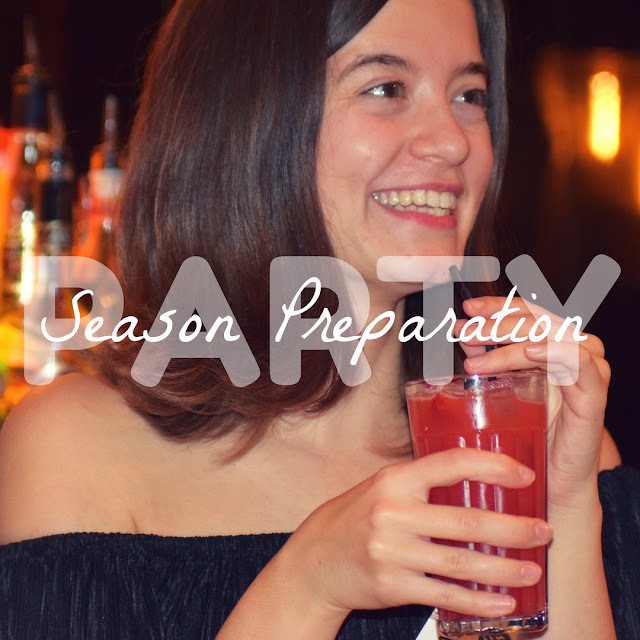 How are you preparing for party season? Any holy-grail products in your routine that I should know about? Let me know in the comments below!